Rating: 5.9/10. From 17 votes. 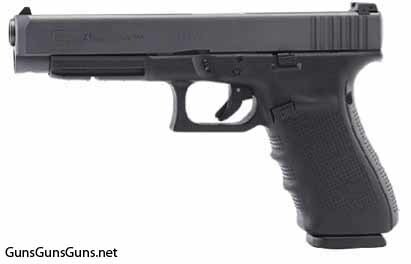 Summary: The description, specs, pricing, photo and user ratings for the Glock 41 Gen4 pistol. The Glock 41 Gen4 from the left. a dual recoil spring assembly designed to reduce recoil while simultaneously increasing the assembly’s life cycle. This entry was posted in .45 ACP, $501-$750, Full size, Glock, Semiauto on January 27, 2014 by Staff.